Senior living communities are quickly becoming the most popular option for individuals after retirement. Silverado Village Placerville by Silverado Homes is a new home community that includes all of the amenities active seniors are searching for within a warm and welcoming environment. Here seniors will find homeownership combined with extra features and care that can’t be provided by staying in their current home. There are many benefits of choosing Silverado Village Placerville after retirement. We have highlighted five major benefits. Residing in a senior living community offers friendships, companionships and socialization opportunities that you wouldn’t find elsewhere. There is always someone to talk to, someone to check in on you and someone that can offer help if needed. Silverado Village is made up of 113 single-story houses which all feature two bedrooms and two bathrooms. The homes range in size from 1,207 to 1,590 square feet and have many opportunities for customizations. The neighborhood is big enough to give residents space while still being a close-knit community of like-minded peers. While there is plenty of freedom and independence in a senior living community, there are also an abundance of security options that can give residents, and their families, an added peace of mind. One of the biggest benefits of senior living communities is that they are specifically designed and created for seniors. The homes are single story, and have zero thresholds and extra wide door openings for better accessibility. They also have other features that make daily living easier. Another big benefit of moving into a senior living community is that it is virtually maintenance free. Whether it be extra help around the house, or the yard work, those hassles associated with typical homeownership are long gone. Independent living communities offer many additional amenities making the neighborhood feel like a resort. Residents at Silverado Village have priority access to the Village Center, featuring an indoor heated swimming pool, a fully-equipped fitness center, a spa and a community room, which can be used for seminars, arts and crafts, potlucks, or card games. The community has the added benefit of an Eskaton Lodge, where homeowners can take advantage of restaurant-style dining. 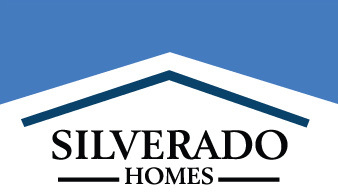 The Silverado Village Placerville sales office and model home are located at 3471 Eskaton Drive and open daily from 10:00am to 5:00pm and on Wednesdays from 1:30pm until 5:00pm.